Crystal Frost has spent her whole life believing she's ordinary, and her mother has long held the secret of her heritage. When Crystal begins seeing the ghost of a dead classmate, her life spirals out of control. She’s faced with the threat that everyone will find out she’s a freak, as if the struggle to figure out her new-found abilities wasn’t enough pressure. Crystal has to find some way to save the people who have come to her for help all while trying to keep her abilities a secret. Will she be able to fulfill these overwhelming demands while solving the mystery that is the ghost of Olivia Owen? Alright, right off the bat I am going to be honest about something. I had a hard time at the beginning of Fire in Frost. I honestly considered DNF'ing the book, but there was enough of something there that I decided to give it a fair chance. In the end, I am happy that I didn't give up on it. It wasn't perfect, but giving it a shot was absolutely worth it. 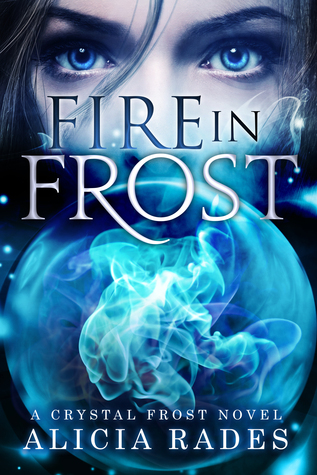 Fire in Frost centers around Crystal Frost, our MC. 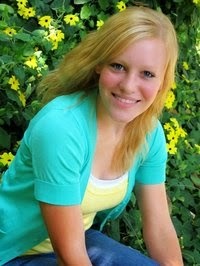 Her and one of her best friend's, Emma, walk in to school one morning, and there is a fundraiser being held for the one year anniversary of the death of a classmate. Without warning, Crystal starts feeling really strange. She starts looking around, and that is when she sees the ghost of Olivia, the very one the fundraiser is being held for. After that, she has one of her worst days. Once home from school, a series of events leads her to her mothers shop, and there she starts to learn the truth about Olivia, and the truth about who she really is. With the help of her BFF's, Emma and Derrick, she learns to control and channel her psychic powers, to help a girl who is in an abusive relationship, and play a few fun rounds of hide-and seek. My main issue with the story was the writing itself. It seemed a bit juvenile, and it just didn't flow well. It started to even out around the middle, and became a much better read because of it. Once the book hit it's stride, the plot became a lot more involving, the characters more like-able, and the story caught and held my interest. I finally began rooting for each of the characters. Crystal was a good MC, and I really liked Emma and Derrick. They stuck by her, even when they might have thought and called her crazy. The secondary characters were good additions to the story. The ending was good, with a good resolution, and the promise of more adventures to come. All in all, Fire in Frost was a good story. The ideas were sound, and intriguing. I think there is serious potential for a great second book in the series, because with the ending I have to think there will be one coming! Thank you for your honest review, Jaime! It does sound like a very cool read and I think I as well will give the book a chance.